Input data (and model parameters) are significant sources of uncertainty that should be quantified. In southern Africa, water use data are among the most unreliable sources of model input data because available databases generally consist of only licensed information and actual use is generally unknown. 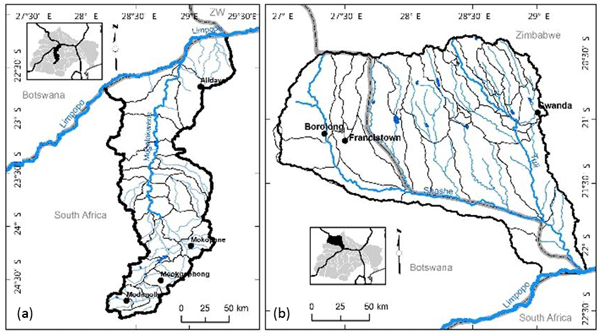 The study assesses how uncertainty impacts the estimation of surface water resources of the Mogalakwena and Shashe sub-basins when using the databases that are currently available. Channel transmission losses play a significant role in the water balance of the Limpopo River Basin, therefore understanding loss processes and quantifying the impact on water resources is integral for advancing knowledge and improving water resource management. Using three functions of the Pitman Model, loss simulations were conducted and results indicate that all three functions are able to simulate losses,albeit with differing magnitudes. Better quantification requires reliable observed data. 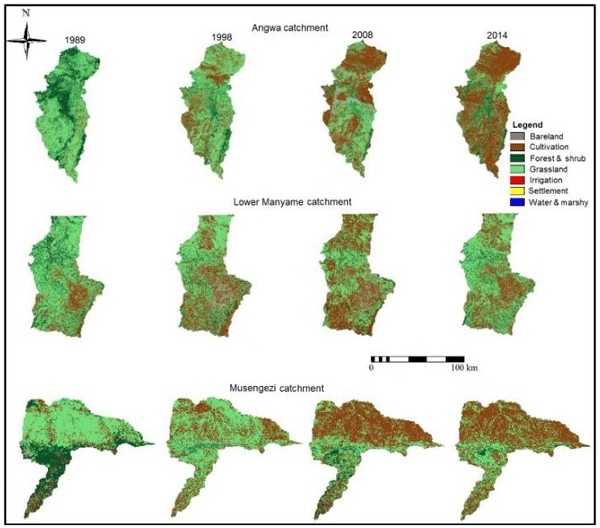 This study was done in order to promote the use of remote sensing products when dealing water resources in the Congo river basin. 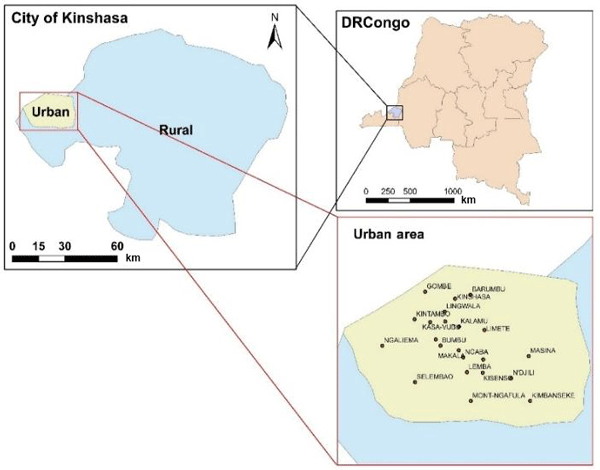 It is the first step of a large research on the evaluation of the performance of remote sensing products on water resources modeling in the Congo river basin. This paper is about evaluation of sub daily satellite rainfall estimates through flash flood modelling. The 30 minute timestep for CMORPH captures flash floods effectively and for TRMM the 3 hr timestep was the best. In general CMORPH performed better than TRMM in termsof NSE and RVE when applied to HEC-HMS model. It can be concluded that floods occur rapidly and the chances of capturing them are higher when finer resolution are applied. This study determines the actual causes of water shortage at Mushandike Irrigation Scheme in Zimbabwe. The water stress at the scheme has been largely attributed to climate change and the uncontrolled expansion of the land under irrigation. Results show that water shortages at the scheme are a result of over-abstraction from the dam beyond the firm yield, adoption of inefficient irrigation methods and high channel losses in the canal system and are not related to hydro-climatic conditions. The aim of this study was to quantify the water requirements of young and mature unstressed apple orchards. We also assess the impact of climate variables on transpiration rates. For mature trees, ‘Cripps’ Pink’ trees tend to use less water than ‘Golden Delicious’. This is because they tend to have more open canopies due to management practices. Transpiration was linearly related to the solar radiation, while the relationship between transpiration and VPD was non-linear. 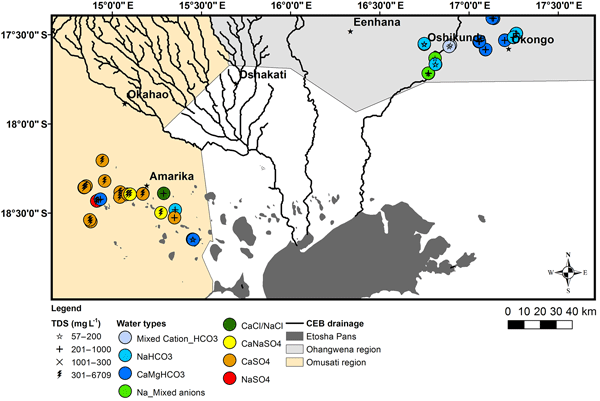 This paper presents an automated computer based system for determining water quality and pollution. 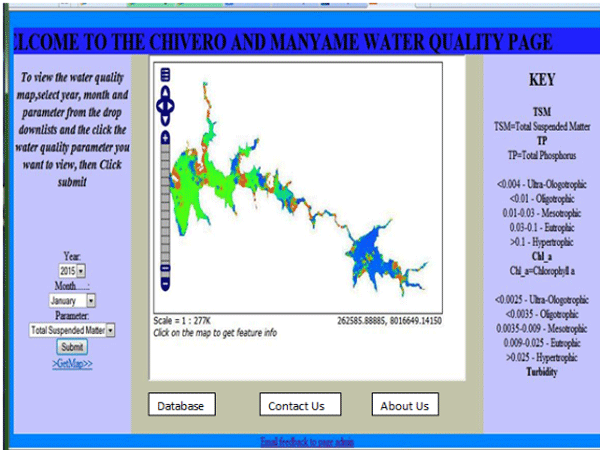 The system results are presented in the form of a map showing the status of water at each and every point in the lake by the click of a button. A case study of Lakes Chivero and Manyame of Zimbabwe. 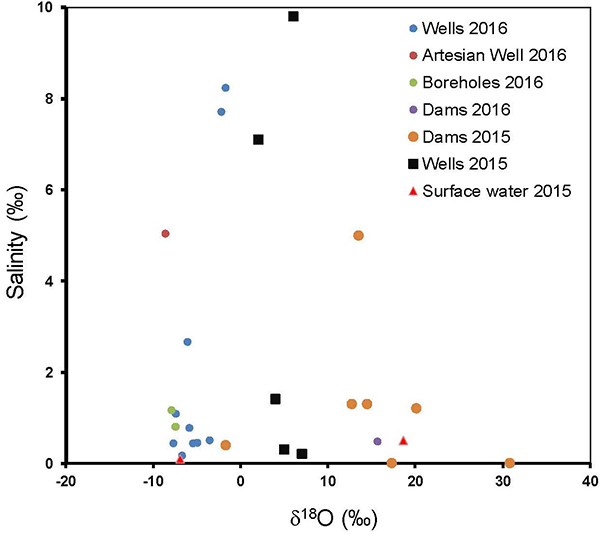 High salinity in the groundwater of Cuvelai-Etosha Basin is caused by the weathering of Kalahari sediments, not the evaporation of water on surface prior to groundwater recharge. Low salinity in the Kuiseb Basin derives from rapid recharge by unevaporated rain and limited weathering of the crystalline rocks. Thus, groundwater quality in the two Basins is controlled by water-rock interaction at the surface and in the groundwater aquifer.